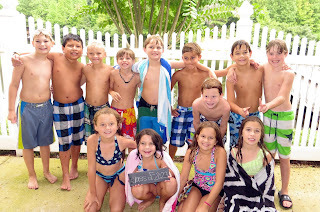 We usually have a Back to School Water Balloon Party at our house (details HERE), but I took it easy on myself this year and did a Back to School Pool Party at our neighborhood pool instead. It was really fun! 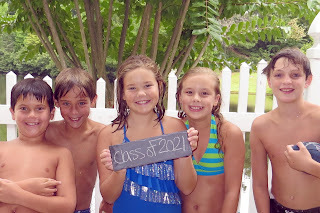 I had simple, kid-friendly food - cheese puff balls, grapes, chex mix, popcorn, cookies, brownies, and ooey gooey cake with waters, juice boxes, and mini sprites. They loved it! 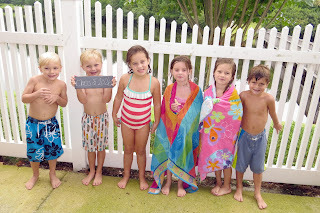 During pool break, I took pictures of the kids from each grade with a chalkboard that had "Class of ____" written on it. 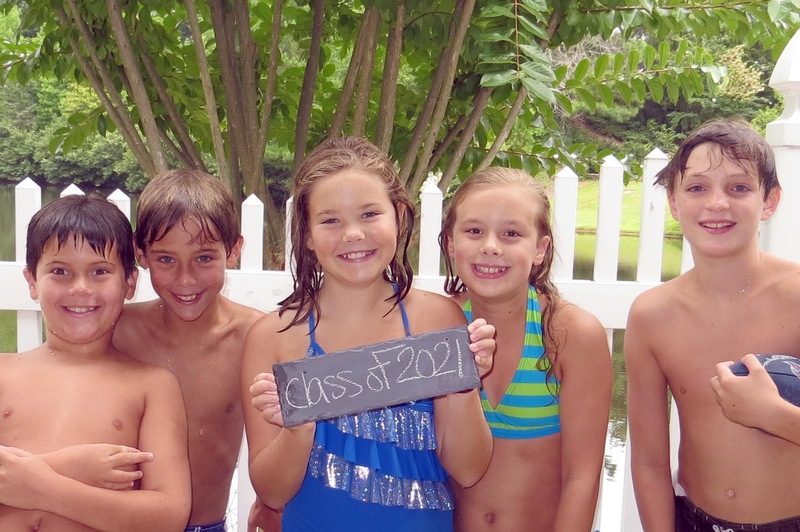 Those pictures are SO cute and will be perfect to pull out at graduation! 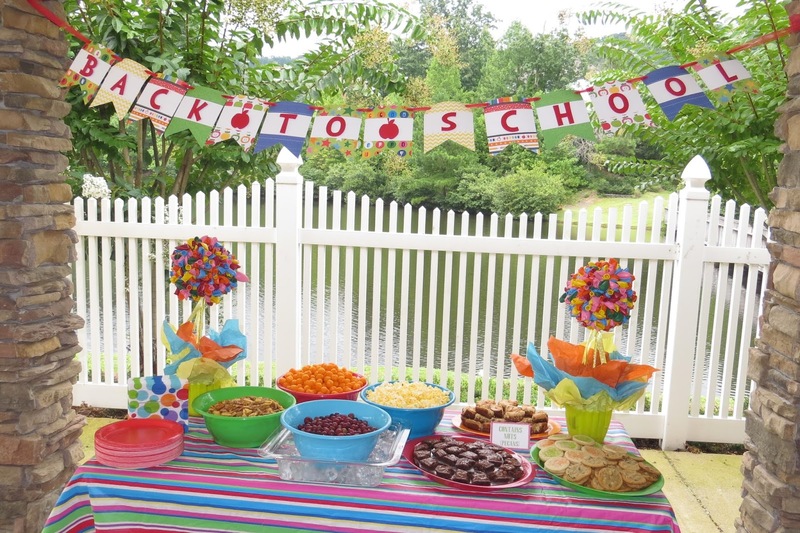 I used my balloon topiaries (details HERE) and an adorable "Back to School" banner as decoration. The idea for the banner came straight from Laurel Lane Crafts (instructions HERE) and I just changed the theme to Back to School by using different scrapbook paper for the background. I loved how it turned out! I can't believe we are back to school already! 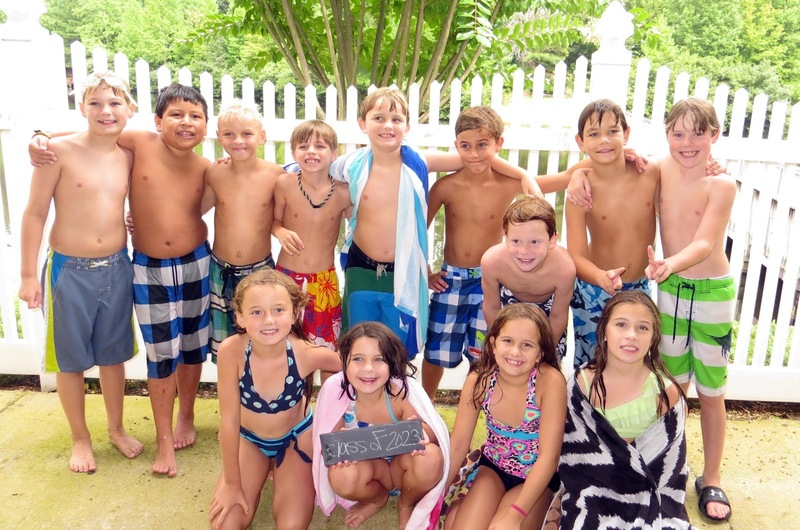 We are looking forward to an awesome 3rd grade and Kindergarten year!